Posted in: Art, Music, Photography. Tagged: American, Andrew Wyeth, Hondo Valley, José Herrera, Michael Parks, Nelson-Atkins Museum of Art, New Mexico, Peter Hurd, portrait, Ride em cowboy, Roswell, Tempera on panel. 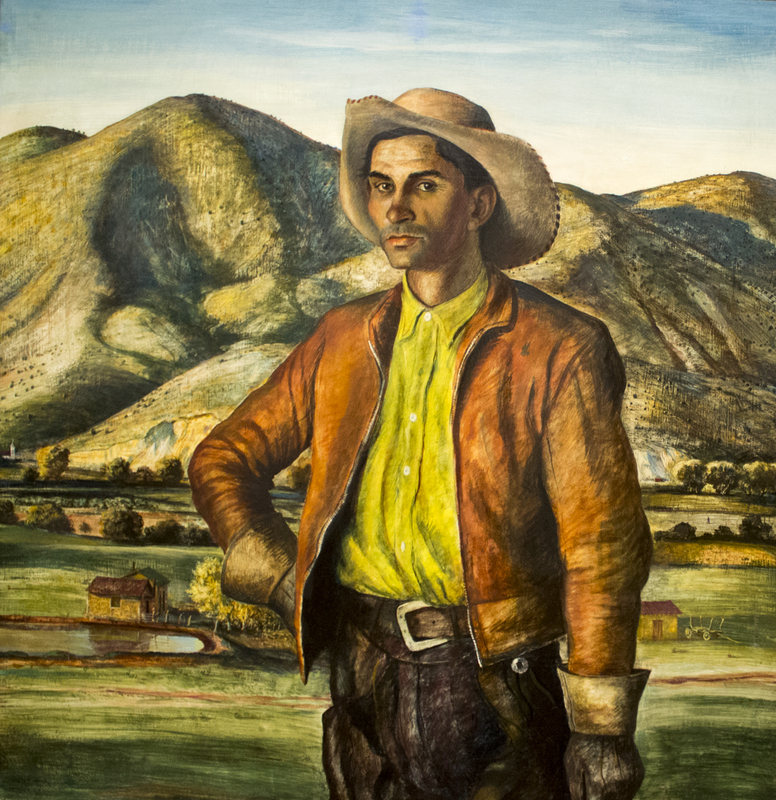 "Born and raised in Roswell, New Mexico, Peter Hurd painted the people and landscape of nearby San Patricio, where he maintained a cattle ranch. José Herrera was a farm hand on the Hurd ranch for more than 20 years. Hurd painted his friend many times and once called him "one of the most paintogenic people I know." Here he is shown looking directly out at the viewer against a panoramic view of the Hondo Valley. Filling up much of the composition, Herrera appears as strong as the mountain range behind him. The painter's use of tempera accentuates the effects of arid land and air integral to the scene. Hurd convinced his famous brother-in-law Andrew Wyeth also to adopt the medium."